Service: Construction Management including Inspection, Cost Estimating and CPM Scheduling. 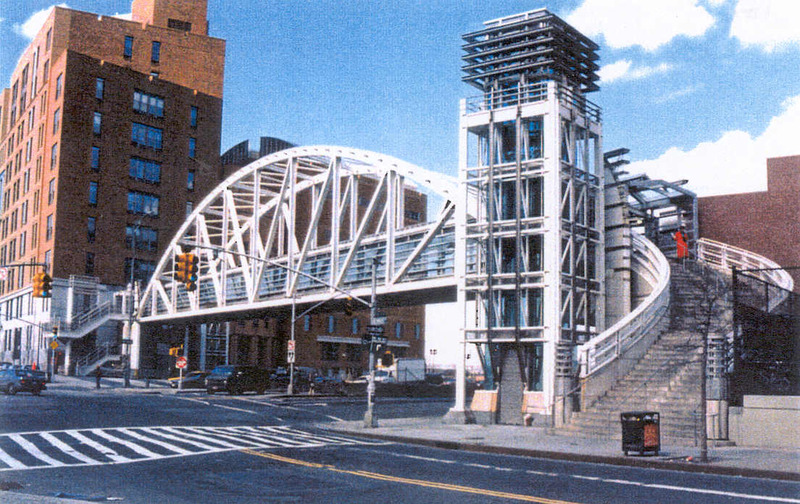 Description: New construction of a fully welded pedestrian bridge, spanning over the West Side Highway, from the northeast corner of Chambers and West Streets, to the second floor of the Stuyvesant High School and a plaza below. Major road improvements were also included in the scope of work.